I love this Club and I love what they have done for me. Crows co-captain Chelsea Randall will don the tricolours until at least the end of 2020 after recommitting to the Club for another year. The 27-year-old surprised her teammates by announcing her commitment to Adelaide at the Crows’ Club Champion dinner on Friday night. 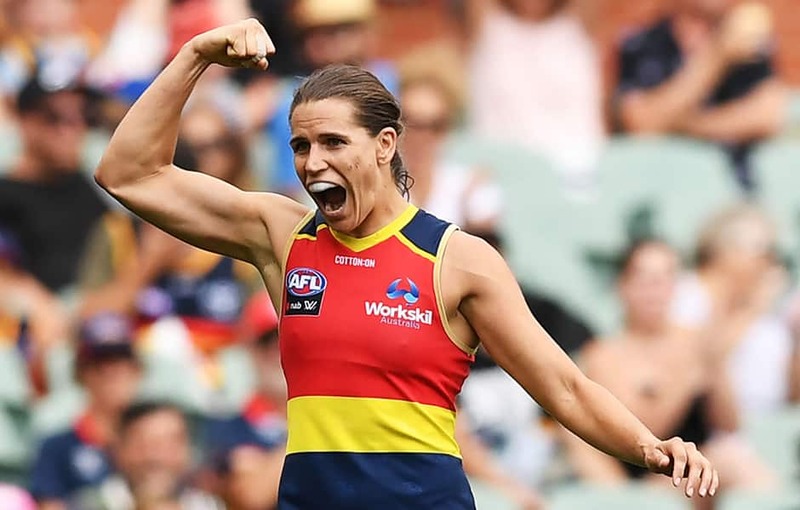 The dual-premiership captain has led by example at West Lakes since the Crows AFLW side’s inception in 2017 and has shined as a leader alongside Erin Phillips. Revered by her peers, she has been voted AFLPA Most Courageous Player for three-consecutive years and took out Adelaide’s Player’s Player Award in both 2017 and 2018. Last year, she was also crowned Club Champion. Randall said that the connection she has with her teammates and the Club is what made her sign on. “I love these girls, and that’s the reason I will be signing for another season,” Randall said. “I honestly am so loyal to these guys, I love this Club and I love what they have done for me. It’s an incredible environment to be involved in, it’s very special and I am lucky. Adelaide's 2019 AFLW Club Champion Award is being held in Darwin.